The point where all the body mass appears to be concentrated is called as the centre of gravity, whereas centroid is the centre of area. A body must have a volume in order to possess centre of gravity. 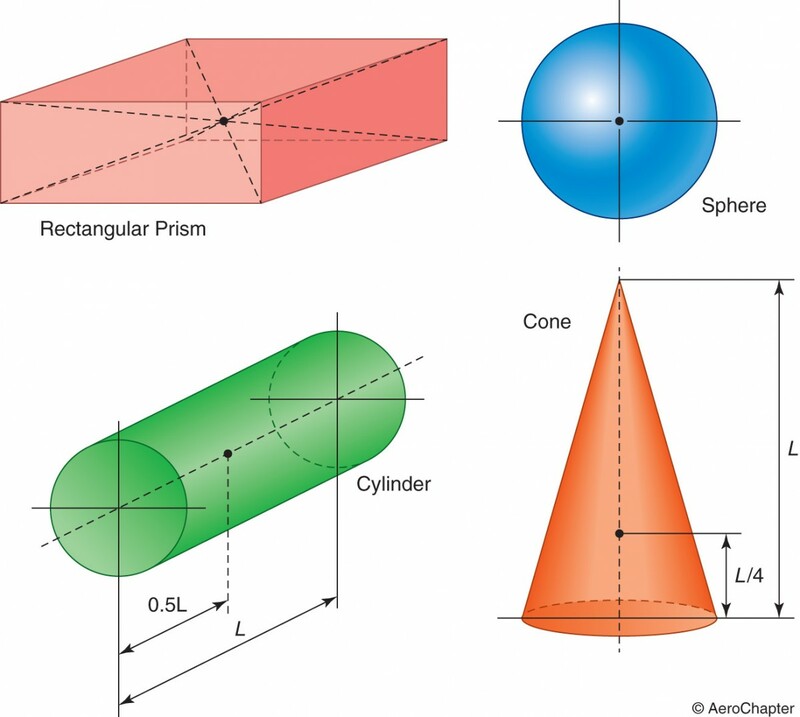 The location of centre of gravity for common shapes as shown below. In aircrafts, the centre of gravity lies at a point in the middle of the fuselage. It is at the intersection point of the three imaginary axes (longitudinal, lateral and vertical) and depends on the fuel state and loading of the aircraft. The total mass of the aircraft is used to determine the longitudinal centre of gravity and the vertical position is considered rarely. 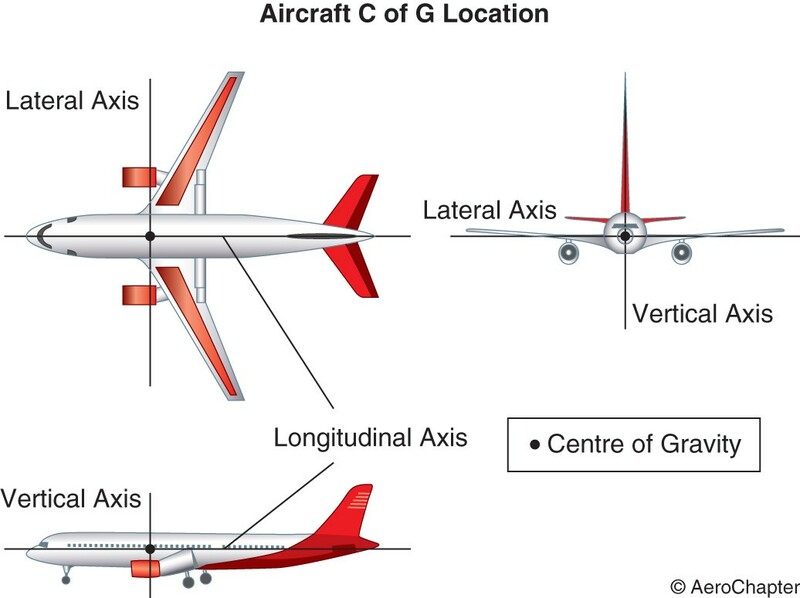 The following figure shows the centre of gravity location in an aircraft. As you can see, the straight imaginary lines running through the centre of gravity all at right angles to each other. The longitudinal line runs from nose to tail, the lateral one runs from wing tip to wing tip and the vertical line runs vertically through the other two lines.